Addressing Gun Violence Prevention now. If Congress won't stand up to the gun lobby and protect its citizens, the state legislature will. Our country is facing a public health crisis with mass shootings occurring so frequently that only the most egregious make the news. Meanwhile our school communities have not been empowered to effectively address how to make schools safer in the immediate term. 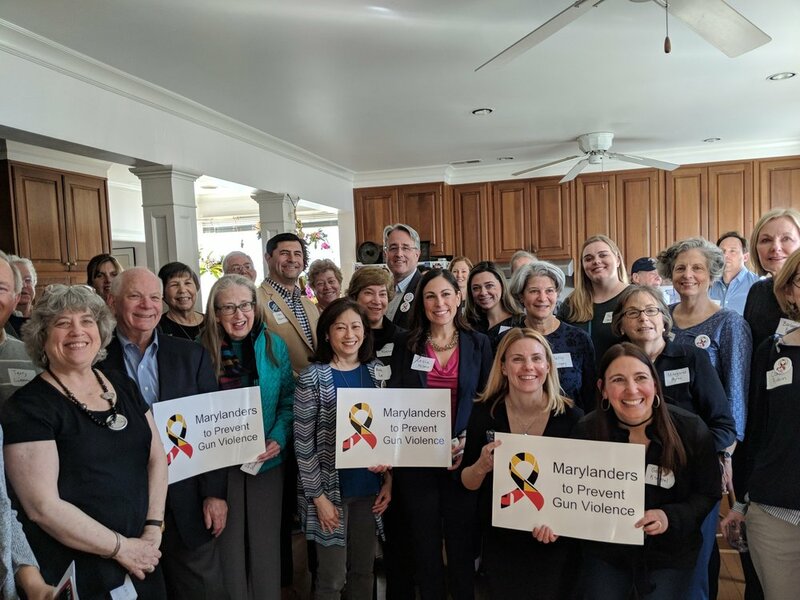 .Work with the state's top advocacy groups, like Moms Demand Action and Marylanders to Prevent Gun Violence, to pursue the country's toughest gun violence prevention laws guns. Priorities include keeping guns out of the hands of people with dangerous histories, promoting a handgun licensing system, and strengthening the background check and validation process for new purchases. Create a Gun Violence Prevention Task Force with teachers, administration, PTA, law enforcement and other key stakeholders to focus on school-specific gun violence prevention interventions, with a sense of urgency. Champion increased funding for mental health services in K-12 and college, with a priority on middle schools and high schools. Invest in the continuous training of first responders, and support the shift to community policing.